“Engage your customers.” It’s a mantra in sales. But just how to engage them is still a mystery for many retailers. 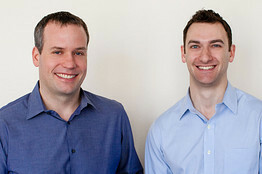 Index co-founders Jonathan Wall (pictured left) and Marc Freed-Finnegan (right) are former Google Wallet execs, and their two-yeard-old business is backed by some of Silicon Valley’s top venture capitalists as well as a team of advisors with C-suite retail pedigrees from Whole Foods, Jamba Juice, Bare Escentuals. Freed-Finnegan and Wall the offered four ideas for engaging your customers. They say these are strategies their own retail partners, large and small, employ throughout the year. 1. Identify your low-performing, high-potential customers. People who aren’t shopping to their full potential with you come in many forms. Freed-Finnegan and Wall say these could be your customers who visit frequently but only buy a few items, or only sale items, each time. Or, they could be the customers who shop full price, but just once a year. 2. Give your very best customers the VIP treatment. Do five percent of your customers generate 40 percent of your sales? Or 10 percent generate 75 percent? Index’s co-founders say that’s common: a small group of customers drive a substantial amount of overall sales for many retailers. 3. Connect with customers on social media. You’ve probably already been advised to use our always-on, highly connected world to your advantage with Facebook and Twitter campaigns to reach existing and potential customers on the channels where they engage. Freed-Finnegan and Wall’s specific recommendations: Use your customer email list to create a Facebook Custom Audience to reach them the next time they’re browsing online. And, to find more customers like the ones you already have, create a Facebook Lookalike Audience based on your existing email list to reach people with similar interests, introduce them to your brand, and incentivize them to visit your store. Take your message to Twitter too with Tailored Audiences to reach both existing and new customers. 4. Incentivize employees to shift email acquisition into overdrive. As challenging as collecting email addresses can be, it is one of the most effective methods of connecting with your customers and sharing news, recommendations, and promotions.